Make the leather 2-bottle wine tote the newest addition to your travel itinerary. 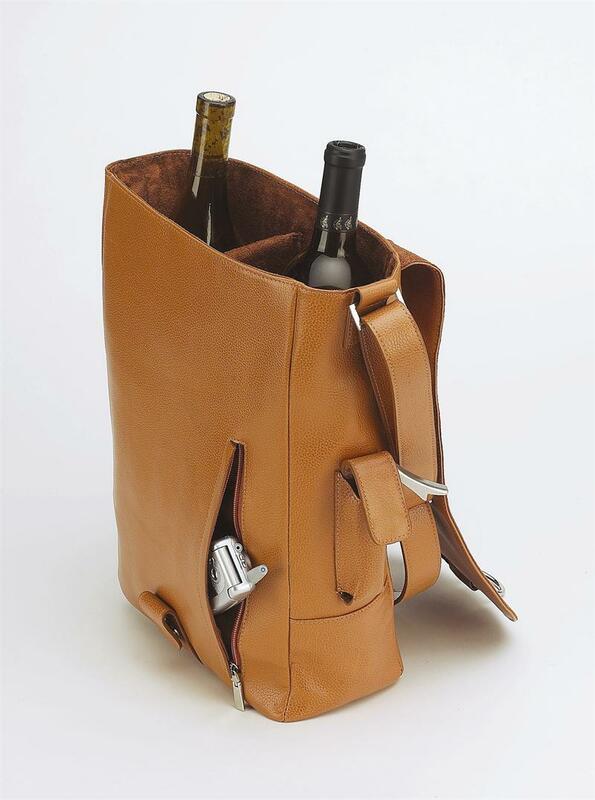 A must for the ardent wine connoisseur, this bag regally transports two bottles in well-padded splendor. 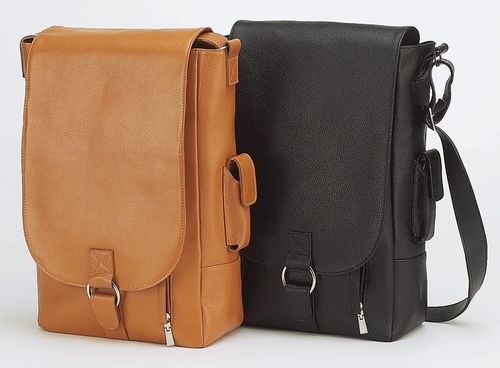 A leather shell in your choice of brown or black with a convenient carrying shoulder strap and a messenger bag design adds a sophisticated touch to the tote. 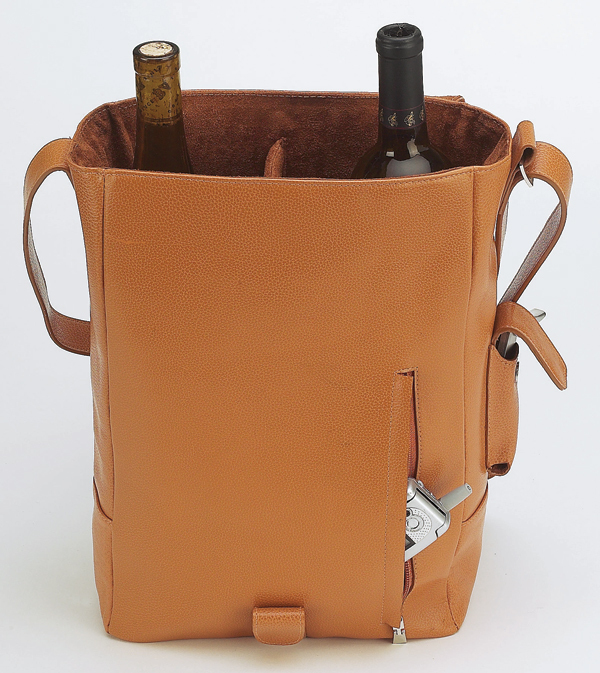 The Vino 2 leather wine tote come with a stainless steel waiter style corkscrew. 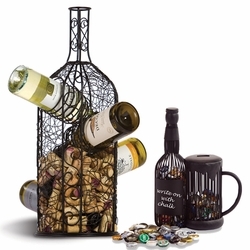 An excellent example of Picnic Gift craftsmanship can be found in all of their leather Bottle Wine Carrier. Like some of the finest wines, Picnic Gift leather wine tote are made one at a time, by trained artisans, and only get better with age. 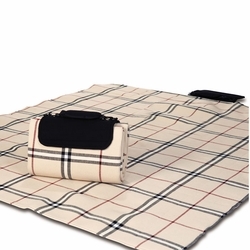 Picture yourself using your wine carrier for a romantic afternoon picnic in the park or to simply carry your favorite wine to a dinner party. Normally Ships in 2-5 Business Days, excluding weekends and holidays.